IDF soldier Gilad Mezamer was on patrol in Hebron when a Palestinian terrorist attacked him with a knife, slicing the carotid artery in his neck, an almost certainly fatal attack. Magen David Adom paramedics arrived in minutes from their nearby emergency medical station — but they were up against the clock. The nearest Israeli hospital was 40 minutes away, and Gilad was losing blood — fast. While the ambulance with Gilad raced with him to the hospital, a paramedic on a Medicycle carrying blood raced from Jerusalem to meet them halfway. 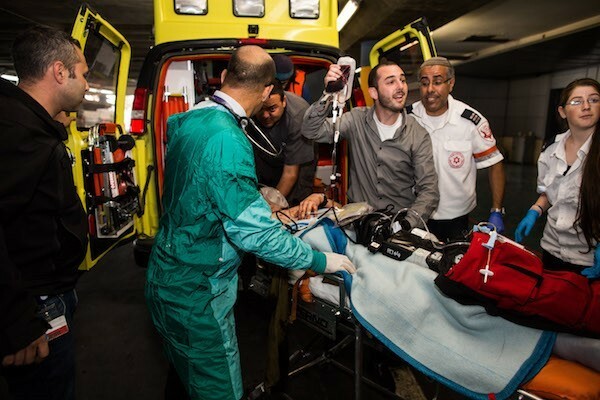 The blood was transferred to the ambulance and, in an unprecedented move, MDA’s paramedics performed an emergency blood transfusion en route, saving Gilad’s life against perilous odds. Our ability to save lives in every corner of Israel, including Judea and Samaria, is only possible with the support of donors like you. That’s why we’re counting on you to help us stanch the bleeding of the next injured Israeli who needs help. Only a miracle could have kept Yarin Eshcenazi alive. A soldier in the Israel Defence Forces, Yarin was on a routine patrol on Israel’s Highway 60 when a terrorist hit him with a vehicle at full speed. Yarin’s platoon commander saw Yarin’s body fly into the air like a rag doll before his body fell to the pavement with a sickening thud. Magen David Adom Paramedic Yair Schussheim arrived at the scene within minutes. He quickly stabilized Yarin and loaded him into the back of his Mobile Intensive Care Unit ambulance. They were deep in Samaria, however, far from any Israeli hospital, so they would have to get Yarin to a hospital in Jerusalem, normally 40 minutes away. Yair told the driver, “Drive and don’t stop. I don’t care if you drive 140 [kilometres an hour].” The race against death was on. Yarin’s mouth was so full of blood and shattered teeth that Yair had to ventilate him to ensure he could breathe. His injuries were so severe that even Yair, a veteran paramedic who’s resuscitated dozens of patients and brought others back from what seemed like the brink of death, didn’t think Yarin would survive. After a week in a coma, Yarin woke up. His doctors confirmed that if MDA had not arrived immediately or hadn’t been able to stabilize and evacuate Yarin as quickly, he would have died. But he lived, regained his ability to speak, and persevered with the same determination as he had in the army — fighting through therapy day after day until he could walk again. Israelis, both civilians and soldiers, live under constant threat of terror. But what’s also constant is the response from MDA paramedics and EMTs, thanks to you. 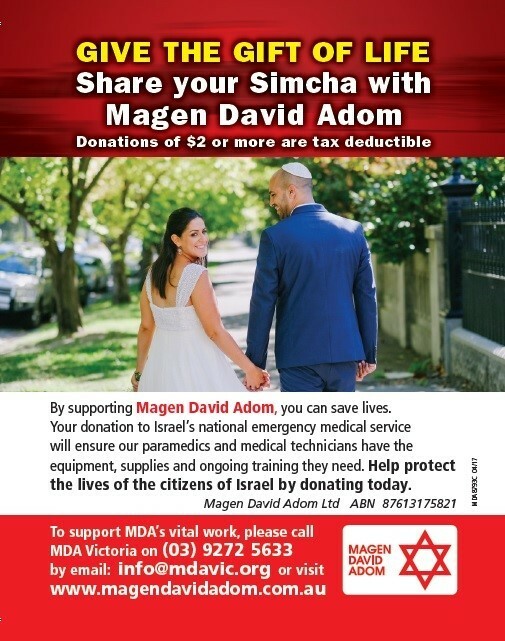 Your support makes it possible to save lives in Israel. Today, you have the power to keep making miracles like Yarin’s happen. *with the exception of Membership, Entertainment Books and Ticketed Events.